Spent the weekend of 28-29 March 2009 at the excellent BarCamp London 6 at The Guardian offices in the swish new Kings Place building in London N1. ABC of the new guardian.co.uk – Nik Silver led a session, based on his Inside guardian.co.uk blog posts, looking the Guardian R2 web CMS and its development since the start of the project in 2006 using domain driven design and agile techniques. It was interesting to note the project is ahead of schedule and under budget. The guardian.co.uk API – Simon Willison demonstrated the features of the recently released guardian.co.uk Content API and Data Store. Making kick arse video navigation – Chris Jackson gave a presentation on the recently launched URIplay, an open media metadata aggregator. It’ll be interesting to see how this develops. The challenge of archiving the BBC’s content – Jonathan Tweed outlined preliminary work on bringing the Corporation’s vast archive online, building on the current /programmes and /music architecture. What I learnt organising a conference – Dominic Hodgson led a session on his experience of organising Think Visibility. The web of data and personal information – A thought provoking session on the semantic web by Mischa Tuffield. Two days of varied and fascinating sessions, millions of Lego pieces, a great bunch of attendees and crashing overnight after beer and pizza resulted in a great weekend. The Cult of Done Manifesto [Bre Pettis] Some interesting advice – however, as one of the comments says, it may not be applicable in all circumstances: “Let me know when you design an airplane, or automobile, or CAT scanner, or fire extinguisher, or elevator, or SCADA system, or microwave oven using this method, so I can be certain never to use it”. 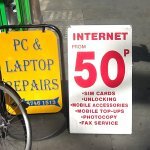 Designing for your least able user [BBC Radio Labs] Epic post by Micheal Smethurst on “usability, accessibility and search engine optimisation from an information architect’s perspective”. Excellent. What is the Open Platform? [guardian.co.uk] Good move by The Guardian: Content API and Data Store. Newspapers and thinking the unthinkable [Clay Shirky] What is the future for newspapers? WordCamp UK 2009 is going to be held at the Future Inn Cardiff on 18 and 19 July 2009. The decision was taken by the WordCamp UK mailing list following the venue bidding process for this year’s WordCamp UK. The winning bid for Cardiff was proposed by Hayley Niuserre. The other proposals were from David Coveney for Liverpool and Jeff Van Campen for London. Details of how to obtain tickets are expected to be released shortly – in the meantime register your interest on Upcoming. 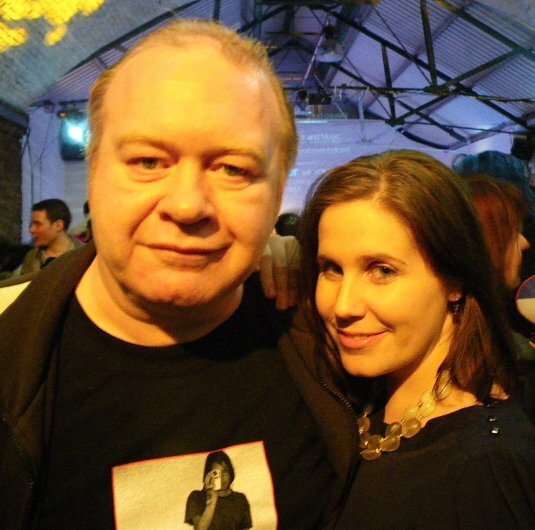 Amanda Rose (instigator of Twestival) and myself (with my Twestival designer and developer hat on) at the London Twestival 2009, held at Shoreditch Studios on Thursday 12 February 2009. Many thanks to Steph Bouchet for the picture. 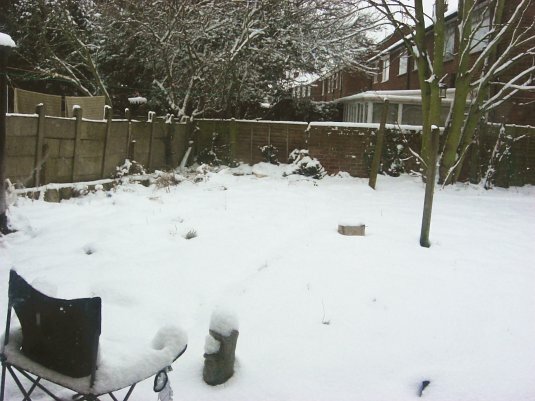 The effect of the recent snow can be seen in the West London Scott household back garden on the afternoon of 2 February 2009. This is the greatest volume of snow I’ve seen in London since I moved down in the 1980’s – although I’ve seen much more in Manchester! Bids are invited to accommodate WordCamp UK 2009. WordCamp UK is an informal annual gathering of WordPress bloggers, podcasters, designers and developers based in the United Kingdom. The target date for this year’s event is the weekend of 18 and 19 July 2009. Bids must include at least two conference rooms (both with wifi, projectors, etc), one to accommodate 150 minimum (the planned total attendance) and the other for a minimum of 75. This is intended to give flexibly in the format, which has still to be decided, to stream into separate parallel sessions. Further venue requirements can be found on the WordCamp UK wiki. Bids should be posted to the WordCamp UK mailing list (registration required) as soon as possible, and in no event later than 0000 (midnight) GMT on Sunday 25 January 2009. Members of the mailing list will be involved in deciding the successful bid. I’m currently away from my normal West London stomping ground to be in Manchester visiting familiy and friends. 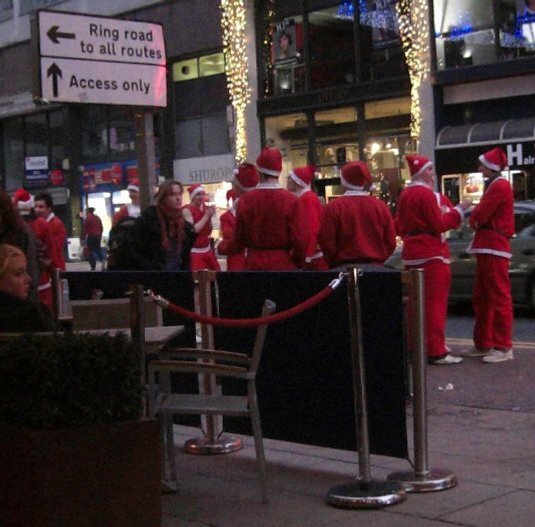 Pictured are Santas loitering outside the Moon Under Water in Deansgate. Went to Twinterval 2008 on Monday at the Match Bar, Margaret Street, London W1. 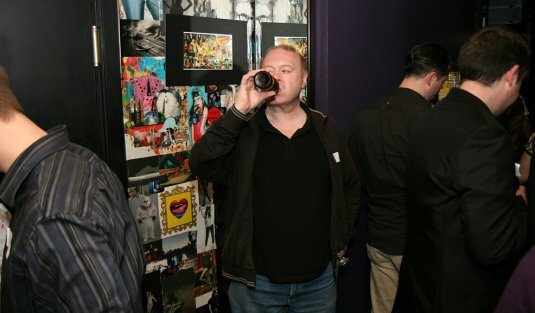 A good time was had by all – it was good to meet fellow Twitter users face to face. Also caught up with Mauricio Reyes, who I last met at a meeting of the WordPress UK London local. Above I’m pictured (some rights reserved) by Paul Parkinson, sampling some of the Czech bottled beer available at the gathering.